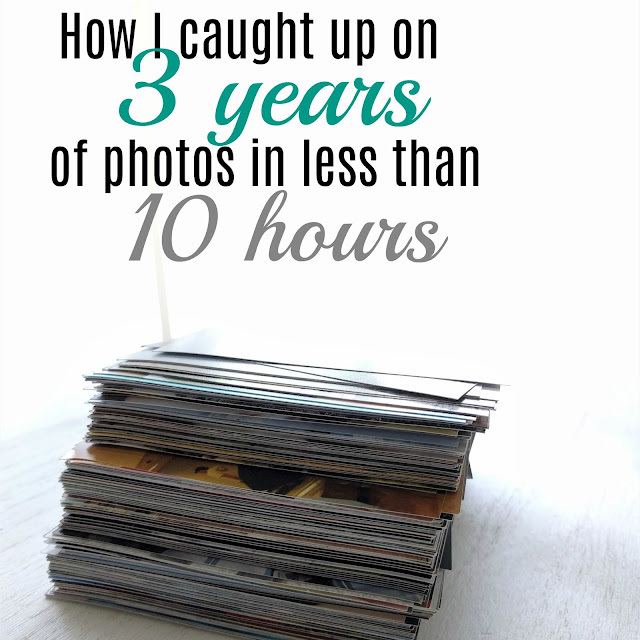 A Lively Hope: How I Caught Up on Three Years of Photos in Less Than 10 Hours! How I Caught Up on Three Years of Photos in Less Than 10 Hours! I recently discovered that I somehow skipped putting three years worth of our family photos into scrapbooks. I'm not exactly sure how it happened, but I think I can guess: life got hectic, I didn't have a plan in place and the time passed. Sound familiar? 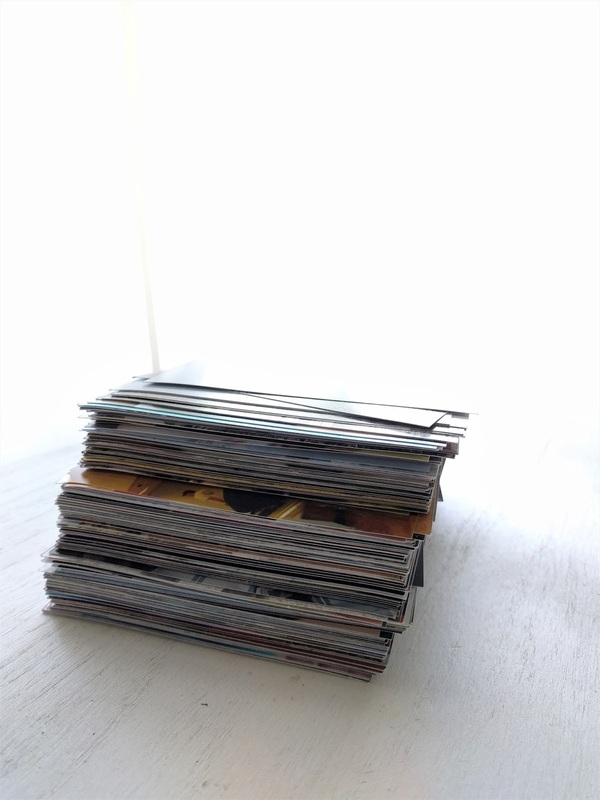 I'm pretty sure I'm not the only one with a huge stack of photos waiting to be put into albums. We love looking through photo albums together and my kids adore hearing stories about themselves when they were tiny. It was important to me to get those precious memories down on paper but I do not have the time to make elaborate scrapbooks. 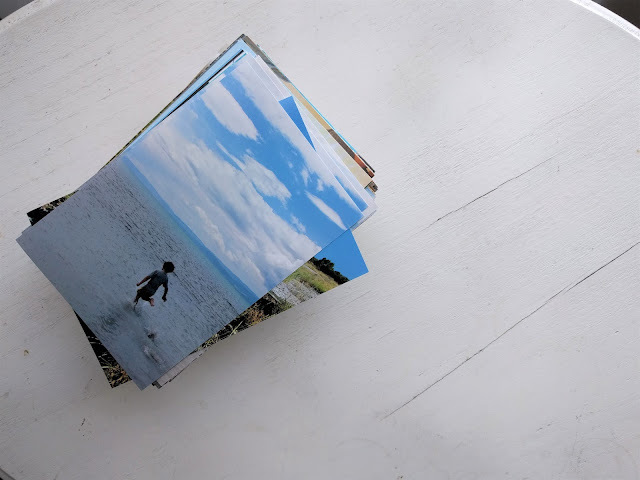 So I came up with a super simple method to preserve both our photos and the stories behind them. While going through the photos, I came across this favorite from a trip to Bear Lake a few years ago. Ethan was probably 5 years old. In the glorious shallow water he was convinced he was actually running fast enough to run ON water (seriously, Bear Lake is AWESOME for kids. The water is so shallow so far out into the lake, they have a lot of freedom to splash around without their water-paranoid mommy jumping all over them.) He did this for 2-3 years in a row and I was so sad when he realized he wasn't running on top of the water anymore, but that the water was only 2 inches deep so it felt like it. And I realized that that's really what it's about for me. I want to remember the stories. It's been liberating to come to this realization. I'm no longer trying to fill up a page of photos each week. 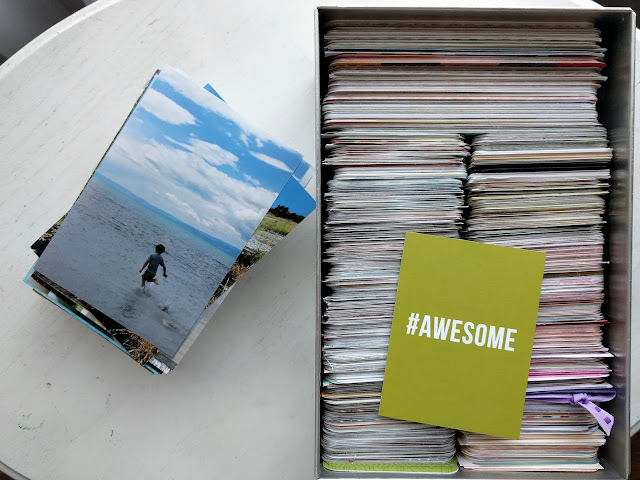 But when something is important enough to document with a photo--a family adventure, something funny one of the kids said or did, major milestones and sweet moments-- those are the things I scrapbook. We want to see the photos and read the stories. But I don't need to document every single day, or even every single week. Life-changing. 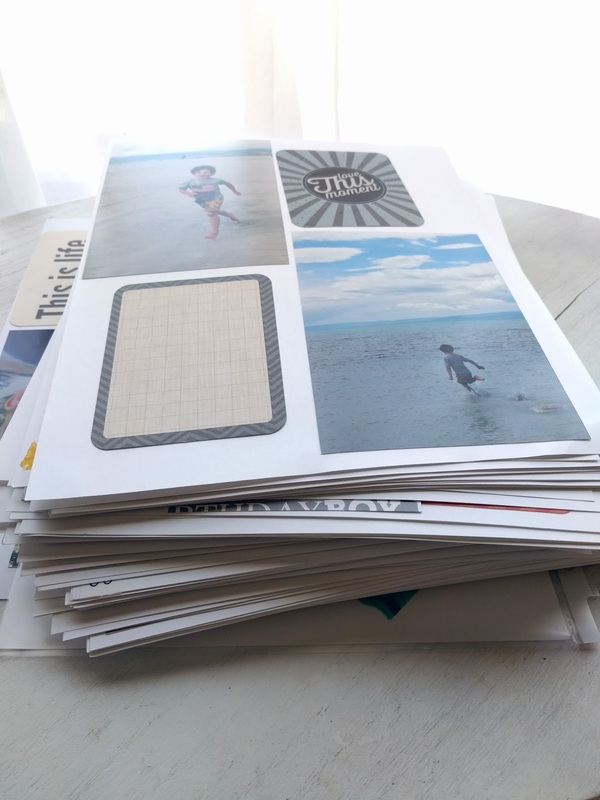 Keep in mind, the actual process of scrapbooking is something I enjoy. I know I could do something with photo books that are designed online and then printed. But physically journaling, with pen on paper, is something I truly and deeply enjoy and I wanted that to be a part of this project. If you don't like this method, don't use it. There are lots of other ideas out there! 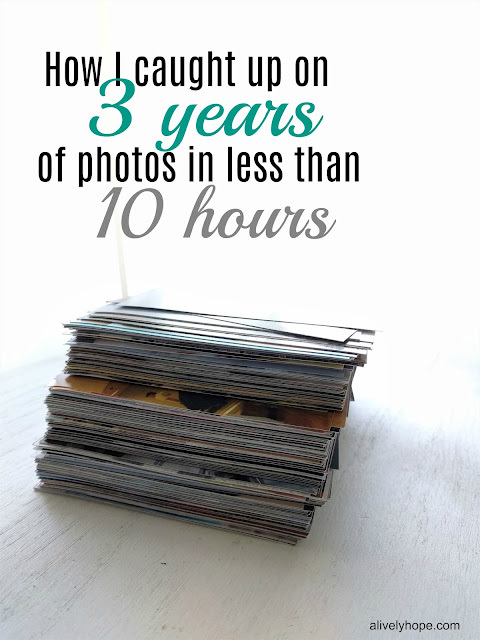 If you've got a similar stack of photos that you want to preserve, here are the steps I took to accomplish this in just a few hours. I did NOT print every photo we took during those missing three years. I went through the already-organized folders on my computer and added all the photos I loved (only the ones I absolutely LOVED) to a new folder. I erased multiples and not-so-great shots along the way. I only wanted the best of the best photos. Moments that told a story. Plain White Cardstock. I prefer to work with 8.5x11" albums because they are big enough to fit a few photos per page, but not so big that they are hard to handle. Album I like a 3 ring album, but there are post-bound options as well. 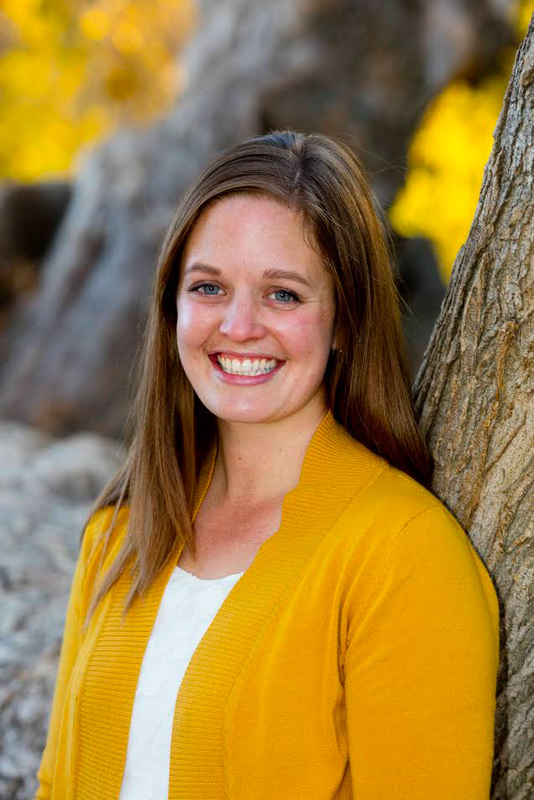 I wanted to minimize the time I spent and any decisions that needed to be made. So every single page has a white background. Despite being very simple, I LOVE how it looks. I used Project Life cards to journal on, but that is not at all necessary. I just really love the look of one or two cards on a plain page. I set up a folding table in our family room and got to work. I didn't have a lot of consecutive hours to work on this, but I did sit down for an hour here and there: while all my kids were occupied (glory, hallelujah!) or during a quiet Sunday afternoon. Because I left the mess out I was invested in finishing up as quickly as possible. My patient husband and children just worked around the table while it was out. The pages are VERY simple. A photo or two or maybe three, a journaling card and maybe some washi tape if I was feeling it. This project is all about the stories and not the embellishments. One thing I love about this method is that I can always add things other than photos. Certificates or drawings/cards from the kids, artwork, etc. would be easy to slip into a sheet protector and add to this album. I still have some journaling to do, but overall this was the fastest an album has ever come together for me. And it makes me so happy to see my kids enjoying these photos and memories. 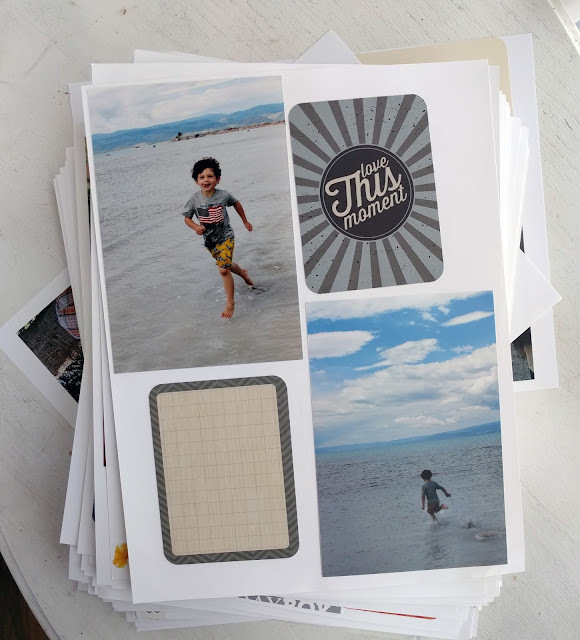 Are you a simple scrapbooker? I'd love to hear about how you preserve your memories!